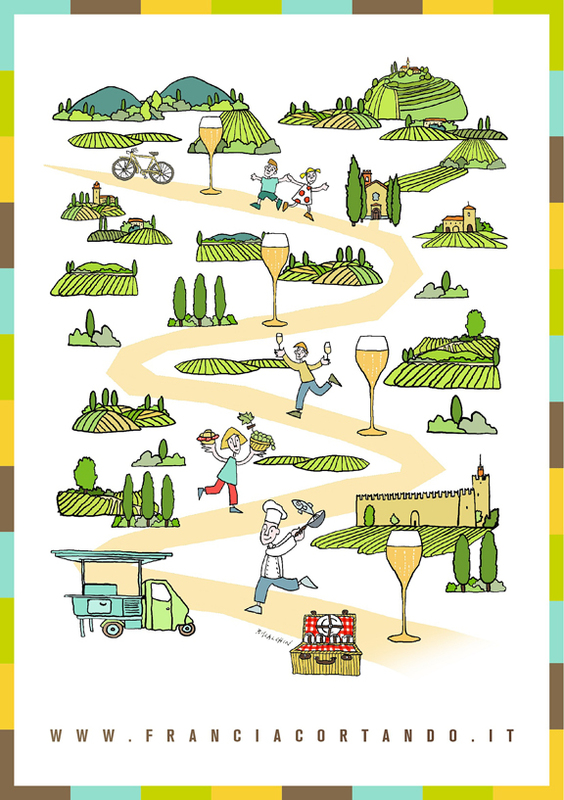 On June 13-14, local restaurants, artisanal food producers, and 49 Franciacorta wineries will be participating in Francicacortando, a celebration of Franciacorta food and wine traditions in the heart of Franciacorta country. Please visit the website here for details and registration information. Each participating winery will be opening its doors to the general public. Winemakers will be leading guided tasting and winery tours. And many of them will also be opening special and rare bottles expressly for the occasion. Here’s the list of participating wineries and the times and dates of each estate’s events and tastings. Restaurants will be offering special tasting menus to ticket holders and Sunday’s “Brunch-Picnic EAT LOCAL & DRINK FRANCIACORTA,” which includes a Franciacorta-pizza pairing, is not to be missed! And on Sunday, the festival will host a grand tasting, including light bites and live music, at the beautiful Palazzo Monti della Corte a Nigoline di Corte Franca. Click here for the complete event listing.